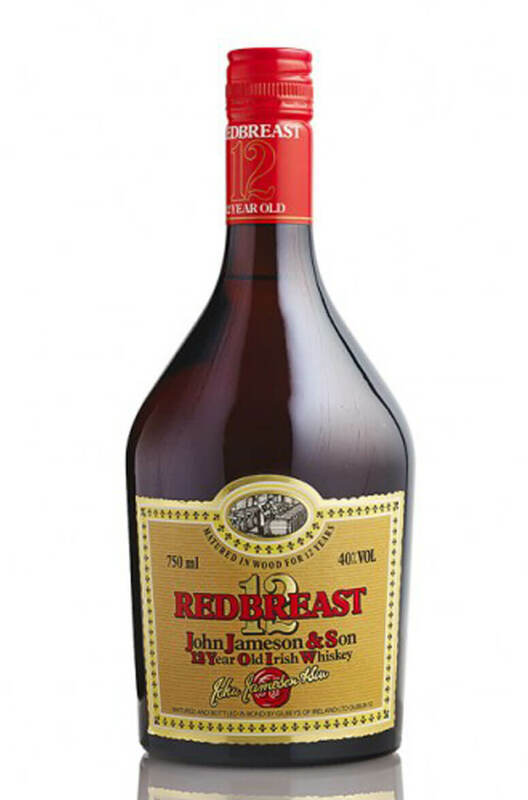 The classic 1970s version of Redbreast which was distilled at the old Bow Street Jameson Distillery. These whiskeys are very oily with the old style fusel oil flavour coming through from the old Bow Street spirit. Quite rough and ready tasting by today's standards but very interesting and enjoyable. We currently have a number of these in stock so there will be a little variation in label condition etc. Distillery Old Jameson, Bow Street. This is an old Redbreast bottle that most likely dates from the early 1990s. It bears the descriptio..